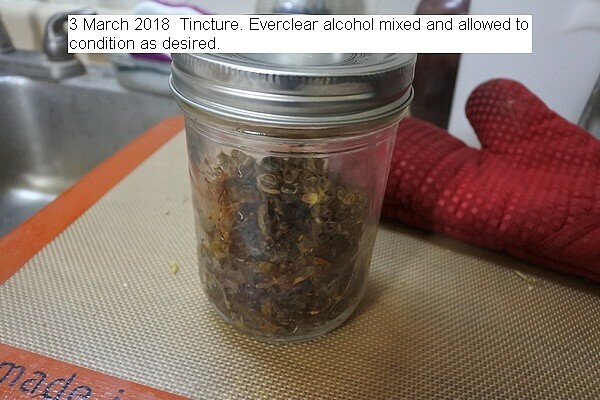 Two jars of tincture were made and set aside to condition. One jar was material and alcohol in a jar and set aside to brew for 30 days. The other jar was using a freezing method that has material ready for use in about five days. Alcohol used was Everclear, purchased in Niagara Falls USA, but Bacardi Rum can also be used. The method of use is drops under the tongue. This is more effective than smoking, and is more environmental friendly.